If your looking for anything scary, I can tell you now, you are looking in the wrong place because you won't find it here. I am the biggest wimp going when it comes to scary movies, and I know I am not alone in this. However that doesn't mean to say that we should miss out on all the Halloween movies. I think it is safe to say that Halloween is a fast growing celebration now in the UK and in my opinion why should we treat it any different than we would Christmas. Lets embrace it and enjoy it while it lasts. Do you have a favourite? What would you recommend? Where do I even begin?! 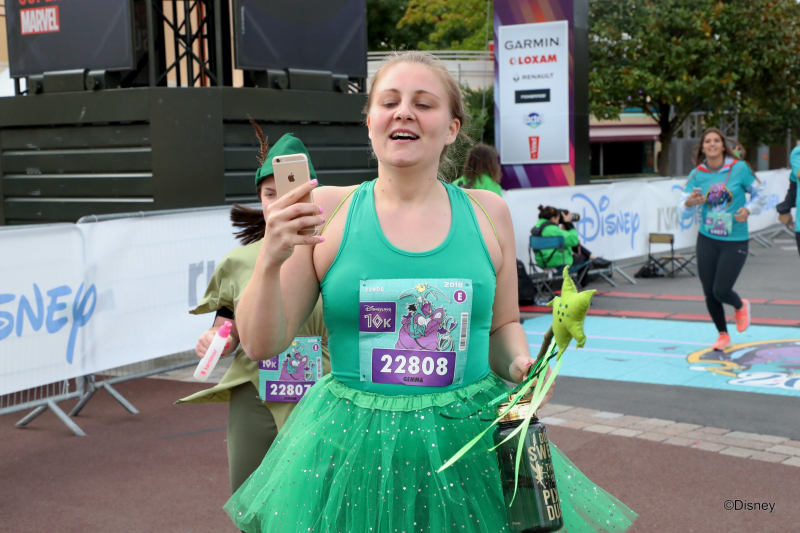 If you read my last blog post you will know that I recently visited Disneyland Paris The reason for my visit was to complete the 10K Disney run, but everyone knows, you're not just going to go for the run. 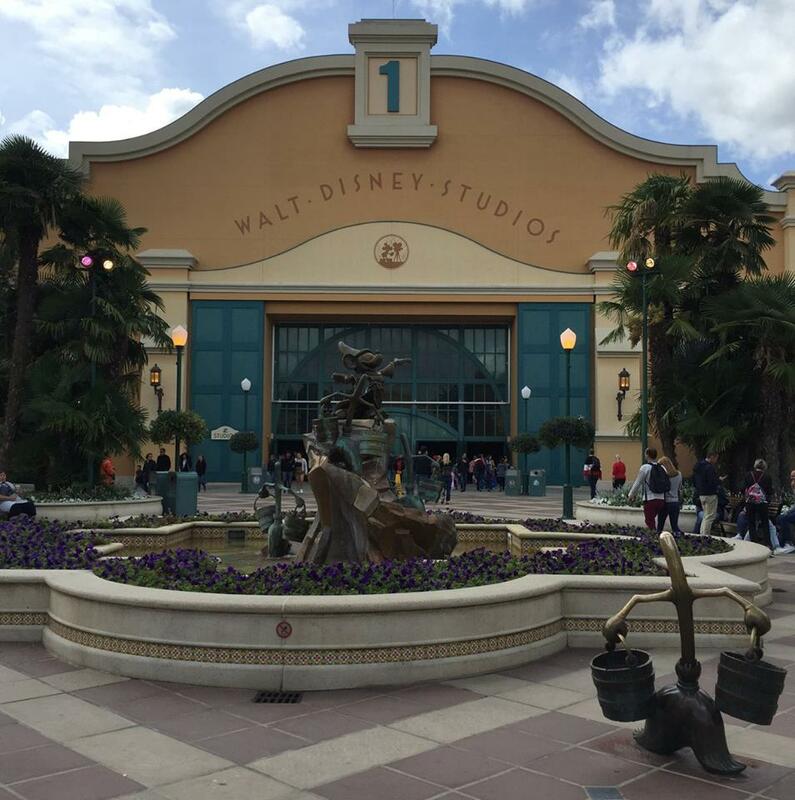 You may as well experience the magic of Disney on offer while you're there and that is exactly what we did. 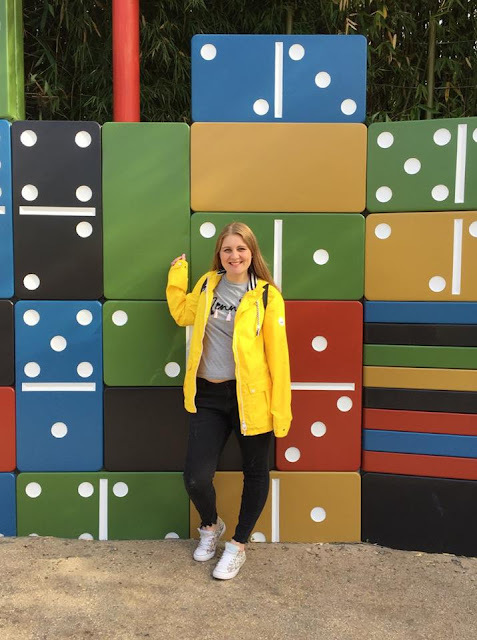 We stayed in total for 3 nights, but having booked an early Eurostar on the Thursday morning and a late one coming back on Sunday late afternoon, it meant we had pretty much 4 days to explore and make the most the parks. 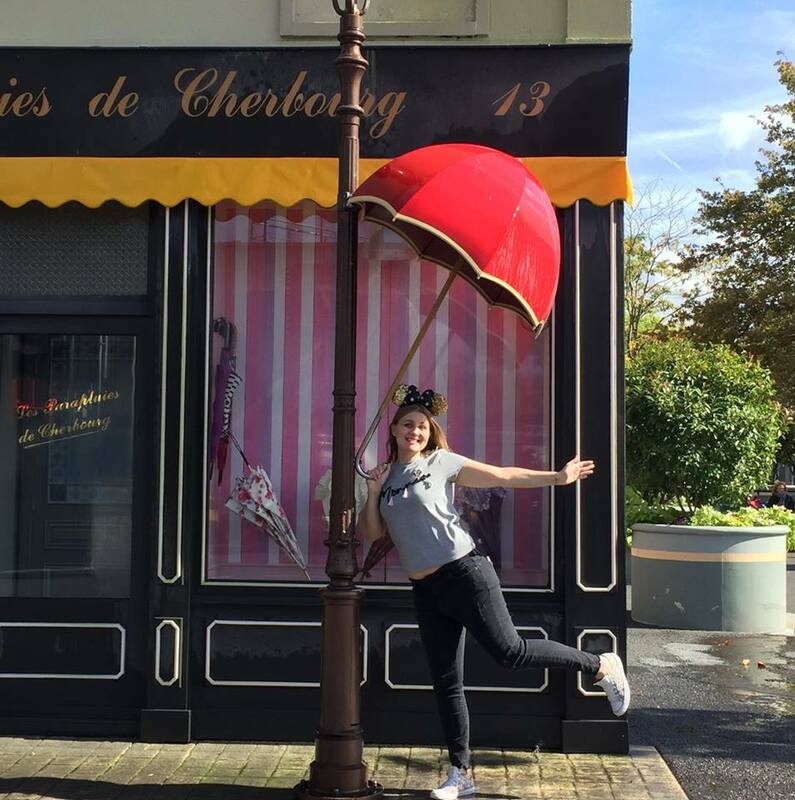 I hadn't visited Disneyland Paris since 2004 and I knew that a lot would have changed in the 14 years since I'd last been. 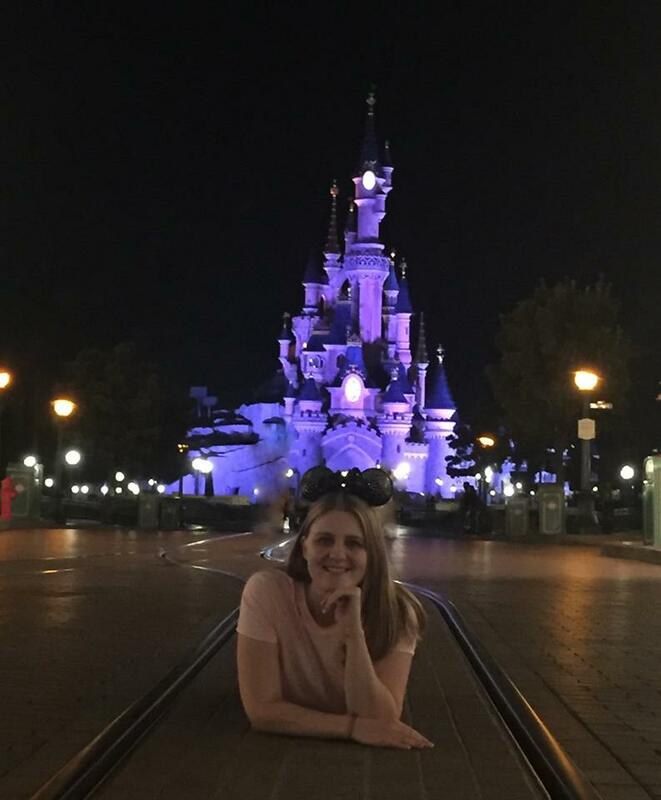 And although I was excited to visit Disneyland I don't think anything could really have prepared me for the excitement that overcame me when we arrived. We booked to stay in the hotel Santa Fe, only a 2 star hotel (much lower than my usual standard by a long shot) but we knew we wouldn't be spending much time at the hotel and it hasn't long ago been refurbished to the Pixar Cars theme so we didn't think we would have much to loose. The only thing we were slightly concerned about when booking was the distance to the parks, but we really needn't have worried. There is a free shuttle bus service, which we didn't use even once, we walked to and from the parks each day, it literally took us about 10 to 15 minutes each way and it was a lovely walk along the river into Disney Village. I would definitely recommend staying and would stay there again myself. Disney Village had grown quite a bit since I last stayed and there is a large selection of eateries and shops for all your Disney souvenirs, although these can all be bought inside the parks too. 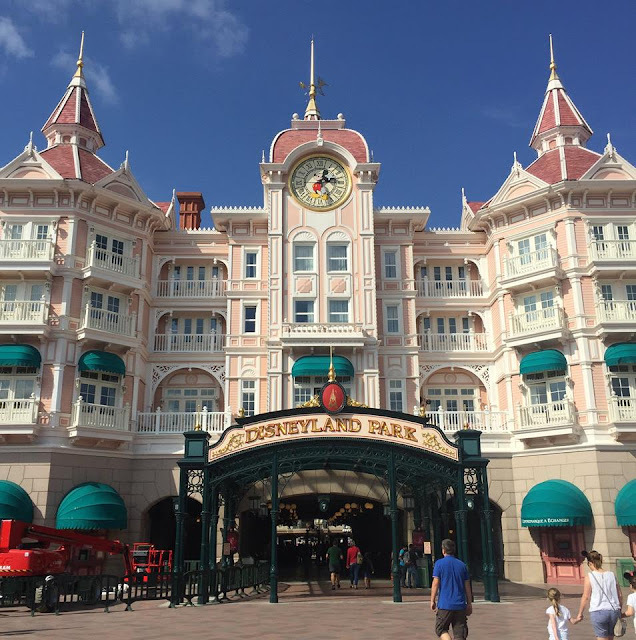 The good thing with staying in a Disney hotel too is that you can get all of you shopping shipped back to your hotel (providing you purchase before 2pm), this was a great service which we used a couple of times during our stay. I didn't think I would be at all fussed by the character meet and greets. Now I wished we had of researched them better to have known who would be where and when, I lived for them while we were there. We ended up missing out on so many opportunities, coming across the characters when their lines were at a close, it was pretty gutting to say the least especially as some of them were some good ones but it wasn't meant to be and I have learnt my lesson for the next time. Plus we did still get some good ones so it isn't all bad. The rides were really good and thankfully the queue times during our first two days were amazing. Not so much the case on Saturday or Sunday though and by that time we were knackered after having done a long morning of travelling, followed by pretty much 2 full days in the parks and then a 10k run thrown into the mix so we weren't really up for queues. 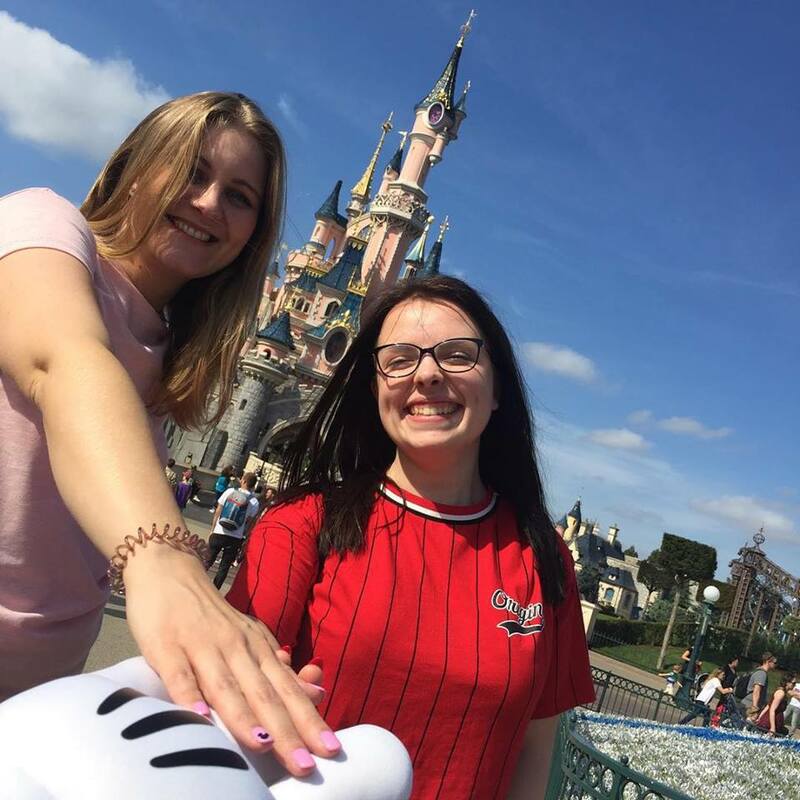 Instead we wandered around the parks, took some photos, went in search of character meet and greets and did some shopping. In comparison to Walt Disney World I would still say there is no comparison but for a more local Disney experience it is still very good and well worth a visit, I'm pretty sure it wasn't my last. I have never been a fan of exercise and apart from running the 100m in school I've never been much of a runner either. 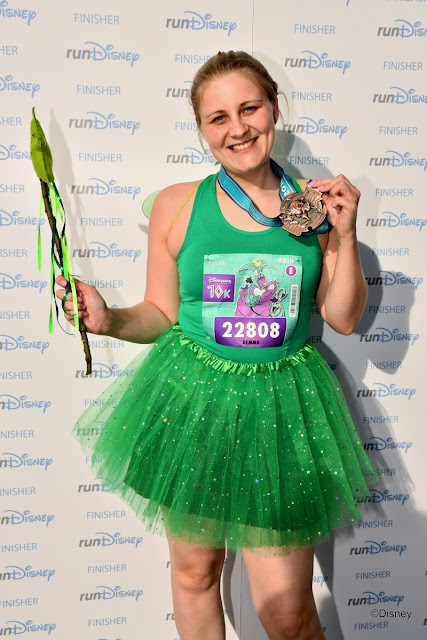 For what reason I thought adding a Disney run to my list of 40 before 40 I will never know, but I am so glad I did. 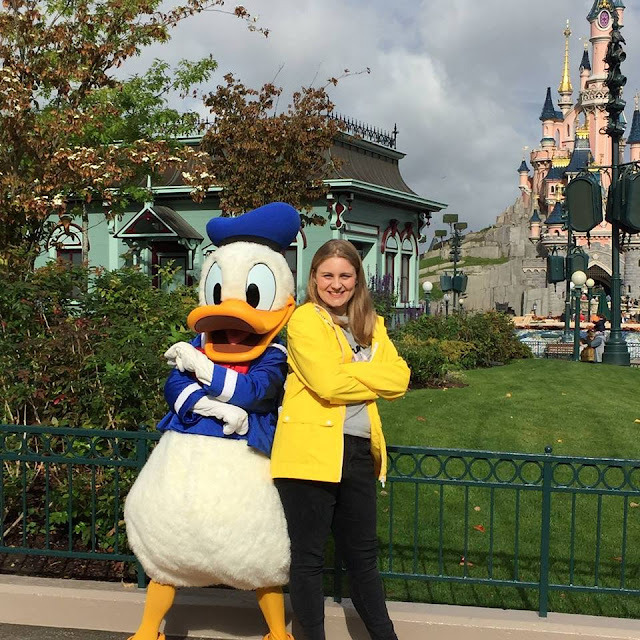 On the 20th September I left home early ready to catch the Eurostar to Disneyland Paris to spend a couple of days exploring the parks before my run on Saturday morning. Growing up I was always a fan of Disney but I guess as I grew older I sort of lost my love for it. 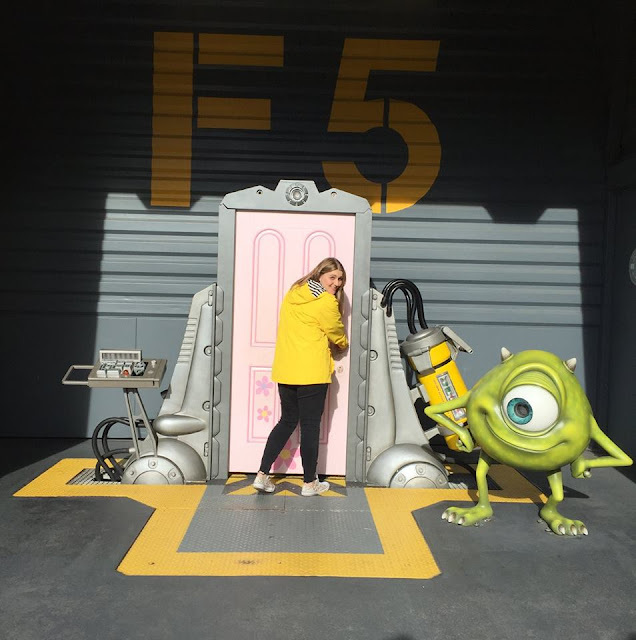 I never imagined I would feel the way I did as I stepped into that magical world, it was literally as if I had been transported back to my childhood and it felt amazing. I hadn't realised how much of an extra buzz would be added to the weekend because of the run but it definitely made the adventure all the more exciting. Heading into the Expo to collect our running bibs and photo pass and seeing the sheer volume of people taking place really was quite something. Even better than that was seeing my very own name on the runners wall, that was amazing, and made the whole thing seem real at last. 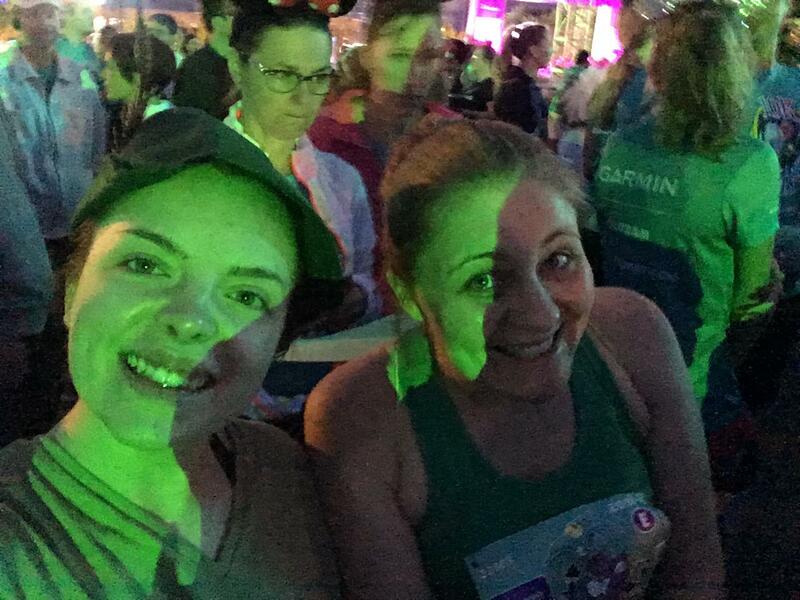 On Friday evening we watched the 5k runners run through Disney Village, the atmosphere was electric, it certainly got me psyched up ready for the following morning when it would be my turn to hit the tarmac with my running trainers. Before long that moment arrived and 6:30am that following morning we were stood by the starting line in our coral waiting to start. I really didn't know what to expect from the whole thing and in a way it added to the whole suspense of it all. The atmosphere really was quite special. 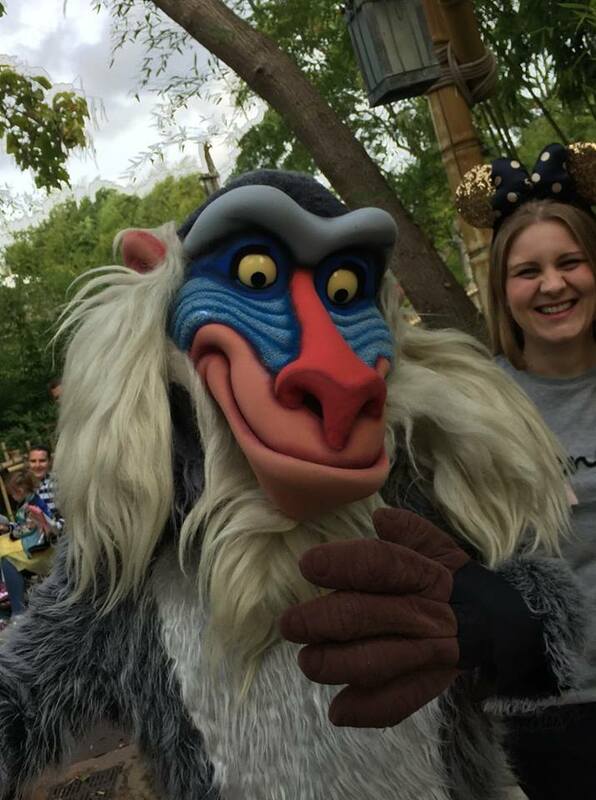 The staff were fantastic and stood on the side lines chanting and cheering (even though I had no idea what they were shouting half the time) It felt so strange being in the park before opening time and it allowed you to see it all from a different perspective. Running around the course through the different areas of the parks a lot of the rides were going round empty. Whether this happens every morning as they test the rides before opening time or whether this was done especially for the run, I'm not particularly sure but it added to the whole atmosphere and was pretty cool to see. 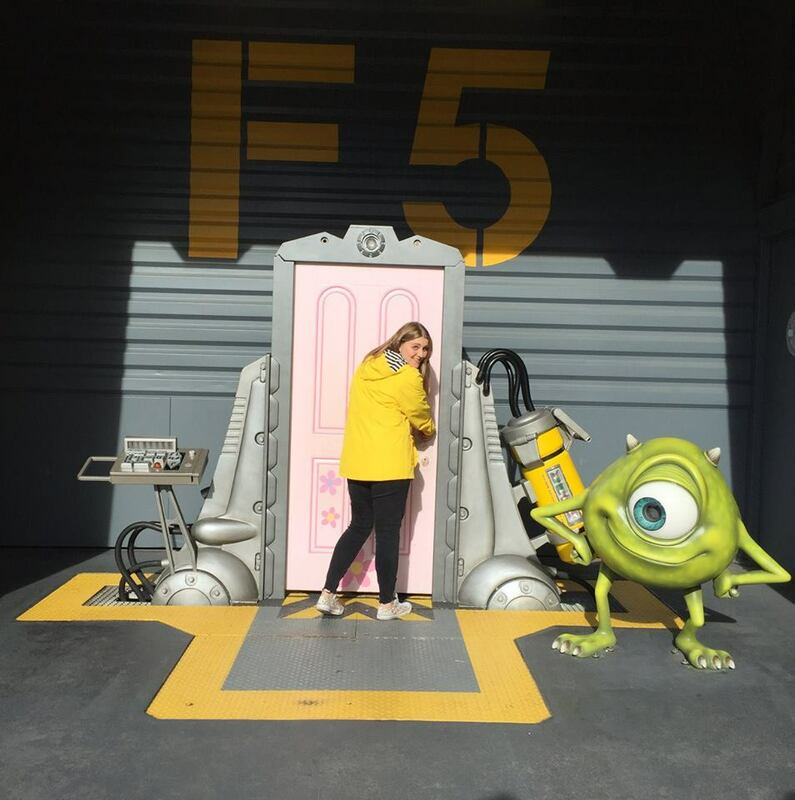 The other thing I really loved was the opportunity to go behind the scenes. Being able to see the bits that the general public don't usually get to see. I felt like I was on set to the 'Moonwalker' movie, although my running partner was too young to know what I was going on about. 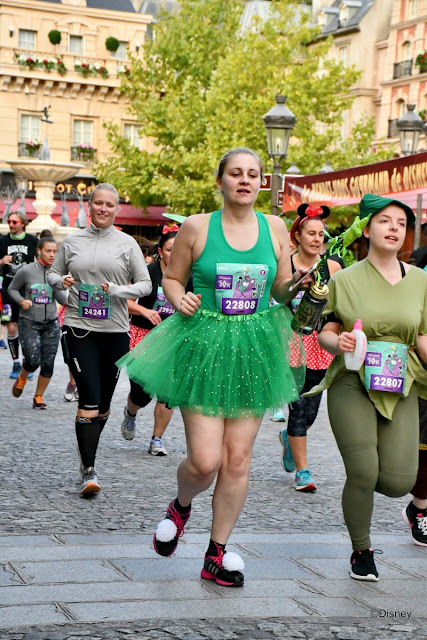 The highlight of the morning though aside from crossing the finishing line was running on Main Street and heading towards the castle. It was a moment I don't think I will ever forget and I'm not going to lie a moment that made me feel pretty emotional. Even now I can feel myself getting a little bit choked up as I type this. 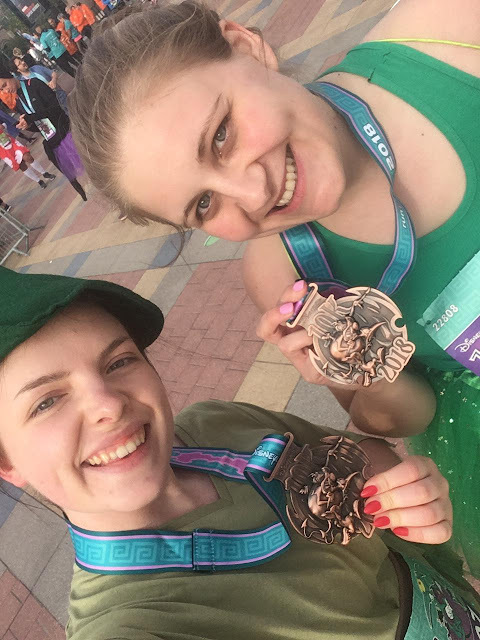 It was worth doing the whole 10k just for that moment alone and is in actual fact the only reason we ended up doing the 10k as opposed to the 5k. If you're going to do a Disney run, you have to run past the castle. Crossing that finish line felt so good. Catching first glimpse of it was a welcoming sight but actually crossing it, wow, I cannot tell you how great that felt. 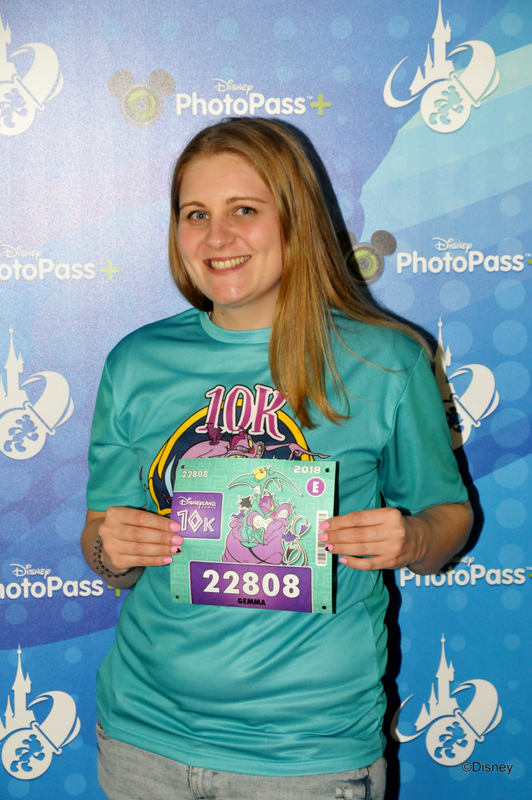 A year ago I never imagined I would ever complete a 10k. My intention when writing that list originally was always for a 5k run. To now be able to say I completed the 2018 Disneyland Paris 10k leaves me feeling totally elated and so, so proud of myself. And the best thing is, I had so much fun doing it. Yes it was hard, it was a challenge but would I do it again? Without a shadow of a doubt. Who knows, maybe next time I'll try tackling the half marathon. 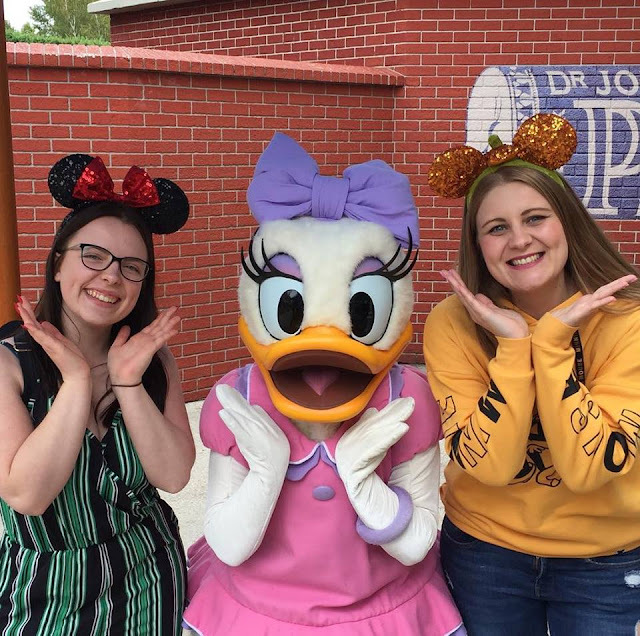 I will be publishing a more general post about the rest of my Disney adventure in a couple of days so if you want to find out more of what I got up to then be sure to pop back to check that out. There will be plenty of photos and all things Disney I promise. My sponsorship page is still open for anyone who would like to sponsor me for the run. I'm raising money for Tommy's The Baby Charity, The Little Princess Trust and Farleigh Hospice. You can donate here. By far my favourite season of all. I don't really know what it is about Autumn that I love the most but the season does something to me. There's a certain feel about it, like you can almost feel it in the air and I've already been getting all of the feels since the weather has started to cool down following that scorching hot summer we had here in the UK this year. I had intended on creating one of these lists for the summer but with one thing and another never got around to it, although I had in my head what I wanted to achieve. I knew I needed to make the effort to make the most of this season though and I'm pretty sure this list will help with that. * Enjoy plenty of Pumpkin Spiced Lattes. * Go on a search for red toadstools. * Take long walks listening to the leaves crunching underfoot. * Bake an apple crumble. * Curl up with a blanket and a book. * Embrace the darker evenings. * Spend some time getting creative. 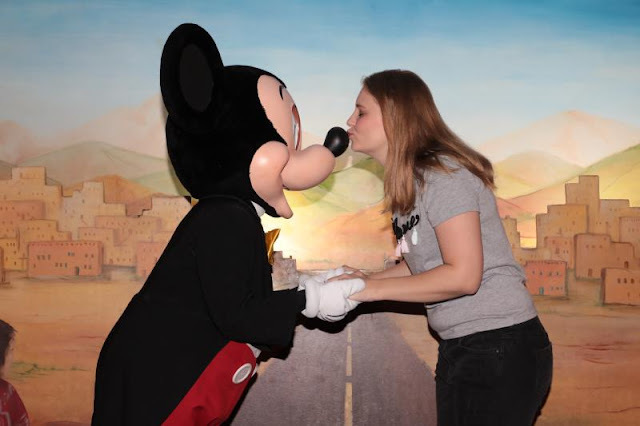 For those of you who have read my 40 Before 40 List you may remember seeing that one of the things I wanted to achieve was to complete a Disney Run. Well folks this will be happening later this month. Yes this month. I will be heading out to Disneyland Paris and will be taking part in their 10k Disney Run around both of the Disney parks in 2 weeks time. To say I'm a little nervous would be an understatement as I am in no way physically, or mentally prepared for this challenge, but I do know that I will get through it and I've no doubt that my friend who is doing it with me will keep me going on the day. Plus we'll be in Disney, which is the most magical place on earth, right! Last month we took part in a 5K Bubble Rush run in aid of a local hospice. It was so much fun but it did make me realise that I am so unfit haha. 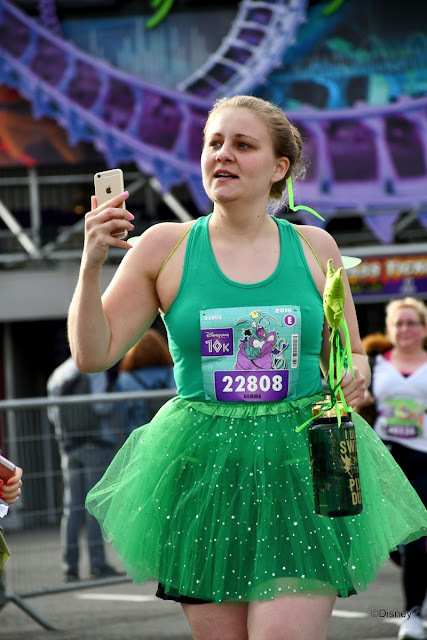 Why did I think a Disney run would be a good idea when writing my list? Although the Disney run itself is a stand alone event that many people will partake in for fun, seeing as this will be quite a challenge for me I have decided to take the opportunity to attempt to raise some money for a few charities in the process. This is where you lovely people come in. I have created a Virgin Giving Money sponsorship page that I would be eternally grateful for any donations to raise some money for my chosen charities. Even if it is only a pound, a little goes a long way and both myself and the charities I have chosen would be so thankful. 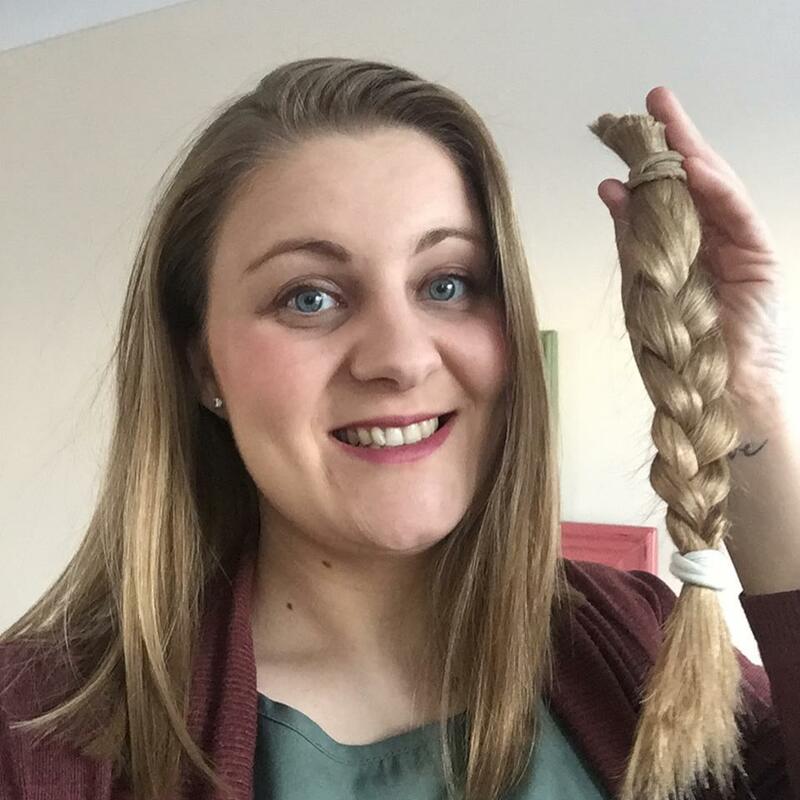 The charities I have chosen to support are Tommy's The Baby Charity, The Little Princess Trust (for whom I donated my hair too earlier this year) and Farleigh's Hospice (who I ran the 5k Bubble Rush for). I'm sure you would agree they are all very deserving charities and I really hope I can do them all proud by raising as much as I can. I'll be posting an update after the run at the end of the month so please check back to see how get on. I still can't quite believe I'll be doing it after wanting to take part for so long. Recently I have really been missing the country life. I'm so glad that it was never something I took for granted while I had it. I'm pleased that I made the most of it each and every day while I was living in my little bungalow surrounded by fields. I don't particularly mind the hustle and bustle of a busy city, but nothing really beats the country lanes, the wide open fields and the wildlife that is so apparent when you're in the countryside. Driving through busy streets and hearing the general day to day noises of car engines and alarms, sirens and people really makes me crave the quieter days and the slower pace of life. Being in the great outdoors and just breathing it all in. Really being able to distinguish the difference between the seasons and witnessing natures journey. I know in theory you can make any house a home, but I still don't feel that since leaving my little spot in the country almost 2 years ago now that I have found a home, a place that I belong. Just lately I have really been feeling it and I'm not going to lie, it makes me feel really sad. I hope that one day this will all change and I will be back where I belong, but for now it seemed right to share these feelings and to admit that you know what, sometimes things aren't always great and you won't always be happy with what you have and that's OK. I know I am far more fortunate than many other people out there so I am not writing this for sympathy or people's pity. It's more a case of highlighting that everyone has their own battles they are contending with, just because you can't see it, doesn't mean it isn't happening. This year saw a new festival come to Chelmsford after V Festival closed it's doors last year. I wasn't too sure what to expect especially as there were clearly some big changes. For a start V Festival took place over a Saturday and Sunday whereas RiZE was being held on the Friday and Saturday. I wasn't able to attend on the Friday, this personally didn't concern me too much as looking at the line-up there weren't really any acts I was desperate to see and I much preferred the acts on the Saturday. About a week before the festival they released a map of the new layout. The layout was much smaller than V Festival, which to begin with I had my reservations about. I needn't of worried about the smaller layout though as this proved to be much better and lot easier to navigate between the stages. I spent a lot of the day moving between stages to catch as many acts as possible and to make the most out of the day so it definitely worked to my advantage. Even though the festival appeared smaller, there was still a big range of stalls on site selling all of your festival gear from hats and sunglasses to fancy dress outfits, plus glitter stations and an oxygen bar. There were plenty of bars too, and the queues for these were really short, definitely an added bonus as no one wants to be wasting time in the queue for a drink. I'm not sure if maybe I hadn't noticed the variety before but there seemed to be a lot more rides too. My only negative was the lack of toilets, as soon as it hit about 5pm there was a constant queue for the toilets and it was a big queue. Over all the atmosphere was really good and for the first time ever at a festival I didn't feel awkward, out of place or irritated by other festival goers. It felt like there was an equal mix of ages and everyone seemed to be aware of others round them which made a real difference to the experience. In the past it has felt like the average age was about 18 so this was a really nice change. And the highlight of the festival for me, it had to be seeing Sean Paul. I loved it. RiZE was a definite hit with me and I will definitely be looking to go again next year if it returns for a second year. I've really struggled to write this post and on numerous occasions have actually wondered whether to publish it or not. I don't like writing negative reviews but feel that this one could potentially be justified in saying that perhaps I may have visited a little too early. After seeing a fellow blogger's post about Dreamland last year it has been on my radar as somewhere to visit. It's not all that far from home in Essex and on a good run can be reached within an hour and a half with no traffic. I loved the colour and vibrant look of the place, and the fact it had a real retro appearance to it, I had to visit. At the beginning of July, the time came for that visit. On arriving at the entrance I was charged £16, this didn't include the roller-skating as stupidly I had forgotten to take socks with me and being a hot day I was wearing sandals (proper school girl error there). This was the only option I was given and so I merrily paid the amount. The park didn't appear to be overly busy which was really nice. There was plenty of space walking around and this gave the opportunity to take in all the quirky little pieces dotted around the park which really did give it a retro feel it looked to have in the blog post I had read previous to visiting. The first ride we decided to go on was the Big Wheel as we thought this would give a feel for what was in the park and also an opportunity to check out the views. Considering the park seemed pretty empty there was a fairly big queue but nothing too serious, I would say around 30 people were ahead of us, I assumed with it being a ride that's able to take a large capacity of people we wouldn't be waiting all that long. Only we waited for around 45 minutes, for some reason they were only filling 10 of the pods. It felt like we wasted so much time for a mediocre ride which was a real shame. Determined not to let the long wait put a dampener on the day we then headed to the Chair 'O' Plane which thankfully we were able to get onto straight away. This is one of my favourite rides, such simple technology and a lot of fun. The old ones are always the best. Already feeling much better about the day we made our way next to the scenic railway. We were met with a much bigger queue this time and queued for just over an hour. The ride itself was good and it made a change to see a ride of this type to be manually operated. Of all the rides in the park this is the biggest so it seemed about right it would have the biggest queue. The trouble is, this was literally about it, unless we wanted to ride on the small kiddie rides or queue up again for over an hour for the 3 rides we had already been on which personally would not have put me in a much better mood than I was already in. I had paid £16 to go on 3 rides! Not impressed, especially as I later learnt that you can in fact pay per ride rather than purchasing a wrist band, this would have been a lot cheaper. 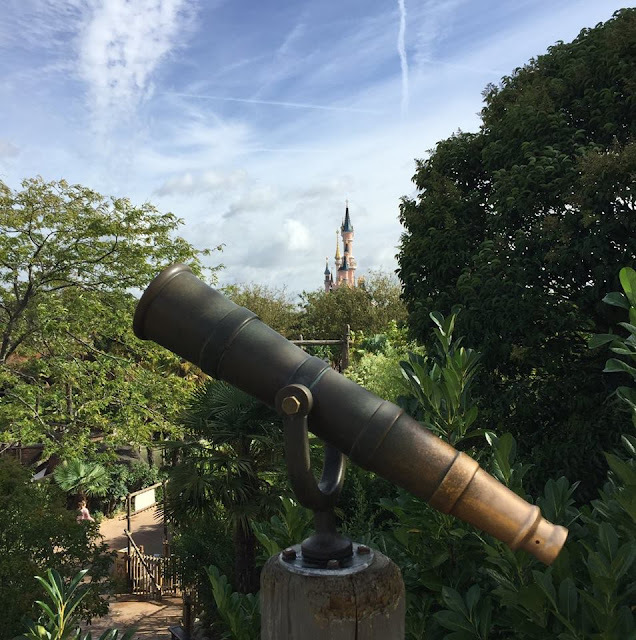 As I have said at the beginning of my post today, I do feel that I have perhaps visited the park too soon as since my visit there have been a number of new (what I would call big) rides that have opened. I'm just not sure I can bring myself just yet to return. Maybe in a couple of years I'll visit again and hopefully by then there will be even more rides opened. Have you visited Dreamland before? What did you think of it? Life is busy and we are all guilty for not taking the time we should to appreciate our surroundings, stressing ourselves with deadlines and life in general. I have been trying so hard recently to slow things down a little. Leading up to what is a really busy and stressful time of year for me at work, I am trying hard not to let this get to me. I've been spending my spare time appreciating the world around me and taking a leaf out of the Norwegian's and Danes book to be more 'hygge' and I have to say it does seem as though it is working, and it feels good. On Sunday I braved the threatening rain clouds and headed to the local reservoir for a much needed walk in the fresh air with my new trusted rain coat, which can I just say I am in love with (I've wanted one for ages but was always worried it was too bright, well to hell with those thoughts now). It felt so good to be amongst nature, hearing the leaves crunch beneath my feet and taking in the wildlife that surrounded me. I'd actually forgotten how good it feels to be out walking, it's been such a long time since I did it last. And oh how happy it made me feel to see the signs of autumn being right around the corner. 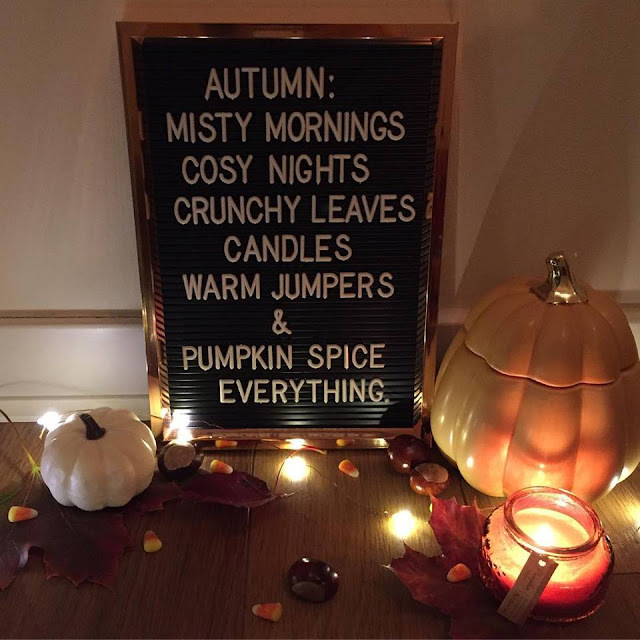 Is anyone else as excited as me for the arrival of Autumn? Okay so yes, I agree it is still a little early to be getting too excited, but it is definitely getting close and I for one can't wait. A few more hot sunny days would be a welcomed treat though I'm not going to lie. It gave me time to think without interruption or distractions, being alone with my thoughts and processing each one properly, giving it my full attention. I did take my phone with me but that was purely for taking photos, no social media, no phone calls, no texts. I rarely disconnect from my phone and it really is something I need to do more often, even if only for a couple of hours each day. It frightens me how addicted to my phone I have become. I always feel lost without it and that is so wrong. I have also started taking steps to calm my evenings after work down, helping me to relax more and chill out. As someone who loves candles I have really appreciated the evenings drawing in and the fact they have become slightly cooler over the past few days. It has been the perfect excuse to light some candles, plug in the fairy lights and enjoy the flickering light around the room. Spending time reading a book or watching Netflix, I am hooked on '13 Reasons Why' at the moment, I'm almost finished season 1 so I'm near enough half way through now. I'm going to continue taking more steps to be more hygge, enjoying the simple things in life and also making sure I have things to look forward to, it always helps to keep my spirits up. What do you do to help keep things calm in your life? I'd love to hear some more suggestions.